Samsung OmniaPRO B7320L has similar form-factor to the Samsung Jack. 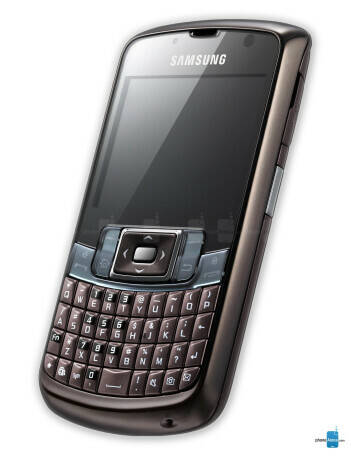 The OmniaPRO B7320L has a 2.4" landscape QVGA display and a full QWERTY keyboard on the front side. It runs on Windows Mobile 6.1 Standard and has an A-GPS, 3-megapixel camera and UMTS/HSDPA support.